Silver Hi5 Yoshi. 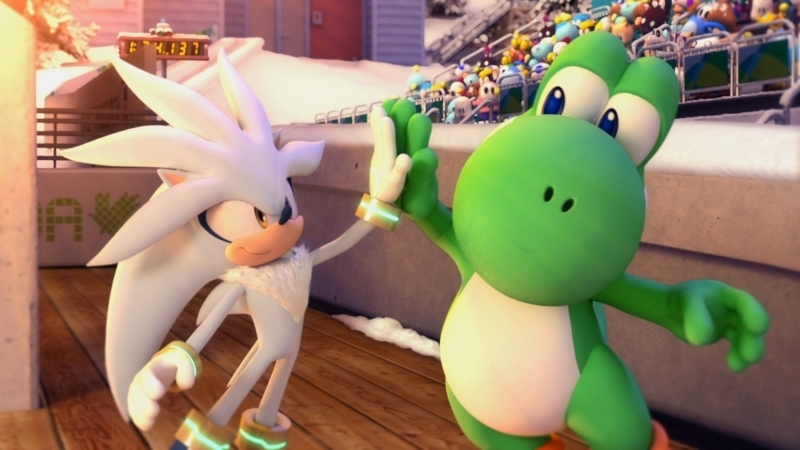 lol Silver hi 5 Yoshi, awesome. Wallpaper and background images in the Silver the Hedgehog club tagged: silver hedgehog silver the hedgehog. Silver looks so cute in this picture but YOSHI IS LIKE REALLY FRIGGIN HUGE MAN! LOLZ! HELL YEA THIS IS DA CUTEST HI-5 EVAH!